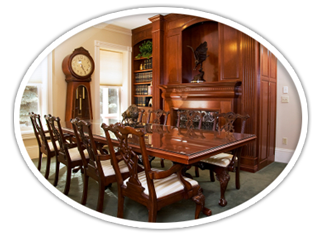 Denver furniture repair, refinishing, and restoration. The Moore family has three generations of experience in Denver since the early 1970's. We are competitively priced and some of our competition is very high priced. Our turn around rate is quick, but not too fast to lack quality work. Our customer satisfaction is rated 100%! 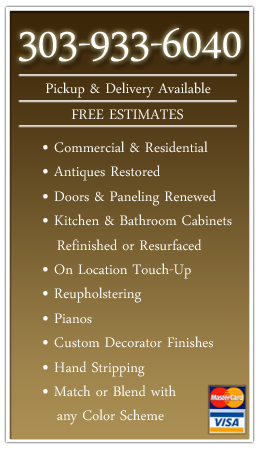 We are the oldest original furniture & kitchen refinishers in the Denver area. 3rd generation in Denver since 1954.